Stew Leonard’s Chocolate Bunny Milk Back in Stores on April 6! 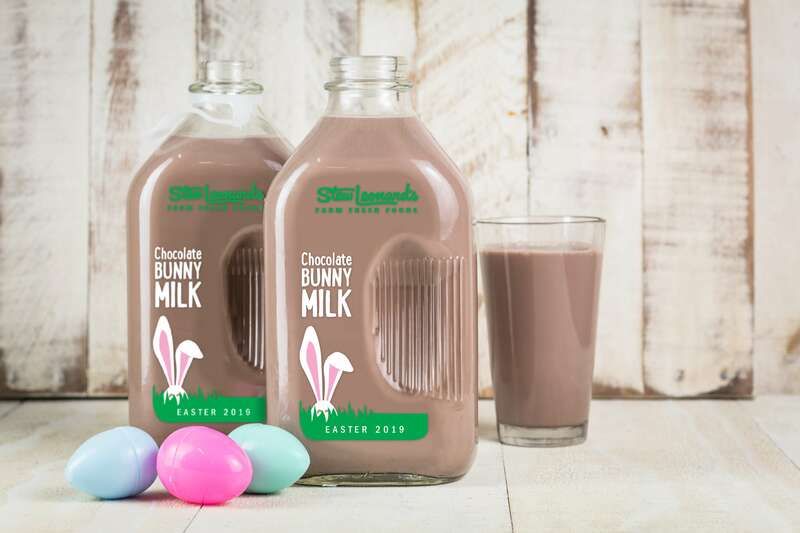 A half-gallon glass jug of Stew’s Chocolate Bunny Milk will be available for $5.99 starting on April 6, 2019, at all six Stew Leonard’s locations. This year’s collectible glass jug will feature the classic Easter colors of mint green and pastel pink. Stew Leonard’s milk is delivered fresh to our stores from award-winning dairy farms in upstate NY and is free from artificial growth hormones (rBST) and antibiotics. A delightful treat for some-bunny special!